Alex Ball is a research data librarian at the University of Bath with a focus on information systems. Prior to his current role, he worked for ten years as a research officer at UKOLN with a focus on digital curation and research data management, and was a member of the UK Digital Curation Centre. 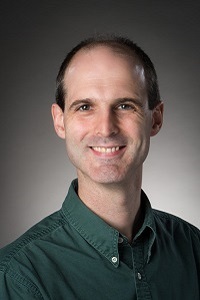 He is co-moderator of the Dublin Core Science and Metadata Community, and co-chair of the Research Data Alliance Metadata Interest Group and Metadata Standards Catalog Working Group. In order to do anything meaningful with data, you need metadata. Metadata is structured information that helps you to work with data, but your structures may not match the structures used by others. That can make it harder to communicate your data, making it less findable, accessible, interoperable and reusable (FAIR). To avoid these problems, many communities have estabished metadata standards, but these are only effective if people know about them and use them. The Research Data Alliance (RDA) has therefore developed a catalogue of metadata standards and tools aimed at researchers and those who support them. In a first phase of work, the Research Data Alliance (RDA) - Metadata Standards Directory Working Group (MSDWG) took the UK Digital Curation Centre's (DCC) Disciplinary Metadata Catalogue as its base and updated and extended the information contained within it. The group then migrated the information in the DCC directory to a new directory hosted on GitHub. In the second phase, the MSCWG refined use cases collected in the first phase, using them to specify the functionality for a new version of the directory. This new version, the Metadata Standards Catalog, will provide much greater detail about metadata standards and tools, and through its new API will be usable within other applications. It will also provide a platform for furthering the work of the Metadata Interest Group, which is seeking to improve the interoperability of metadata in different standards by working towards semi-automatically generated converters.